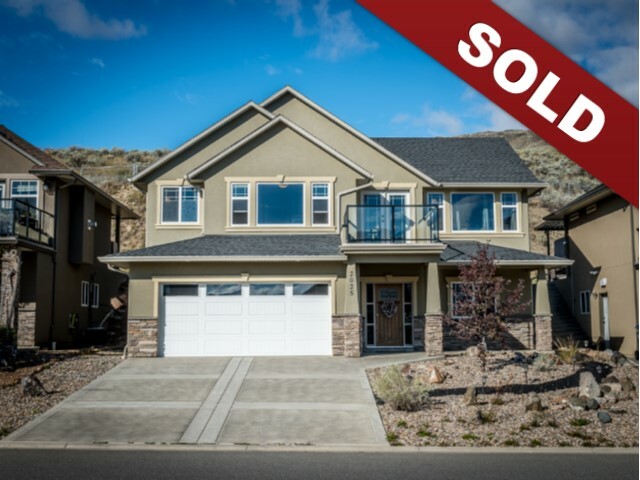 New Listing: 2025 Saddleback Drive, Batchelor Heights, Kamloops, BC $525,000. Immaculate Batchelor Heights 3 bedrooms plus den home with a great view of the North Thompson Valley and mountains. Open concept plan for entertaining and casual family living. Excel cabinets throughout the home as well as extensive use of hardwood floors and ceramic tile. This home includes large island in the kitchen, amazing pantry which provides extra storage space, zeroscape front yard, no maintenance back yard stone patio. Stainless steel appliances with a gas range, 2 car garage, gorgeous gas fireplace, generous walk in closet and ensuite in master. Full piece second bathroom and the list goes on. Extra features include cathedral ceilings, gas BBQ hookup, water line to fridge, high efficiency furnace, acrylic stucco and stone and quality finishing throughout. All measurements approximate, buyer to verify if important to them. Seller is a licensed Realtor.